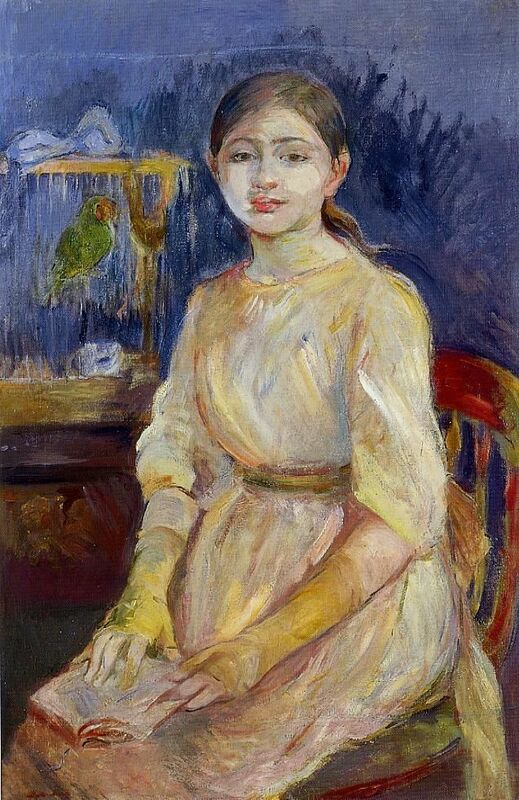 "Julie Manet with a Budgie"
Do you want to buy a giclee print on cotton canvas of this artwork from Berthe Morisot ? For just a little more than a print you can have a hand made reproduction of a painting of Berthe Morisot. Explore vvaassya2014's photos on Flickr. vvaassya2014 has uploaded 11775 photos to Flickr.